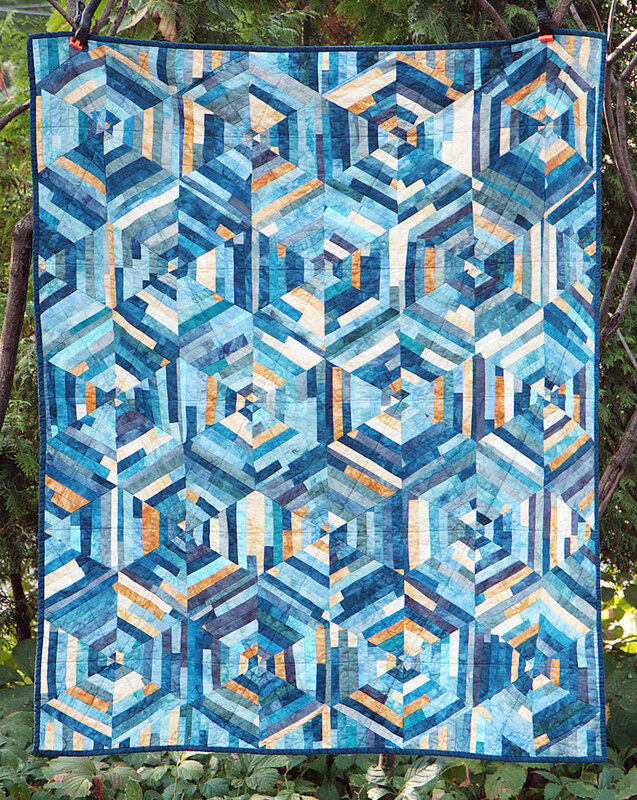 I made this quilt for my MIL, whose only requests for a quilt were “not precious” and “blue”. I had a lot of blue hand dyed scraps and chunks and I cut them all into strips. This quilt actually came together quite quickly despite how many pieces it looks like it has! I love this quilt a lot and imagine myself making another one for myself someday! 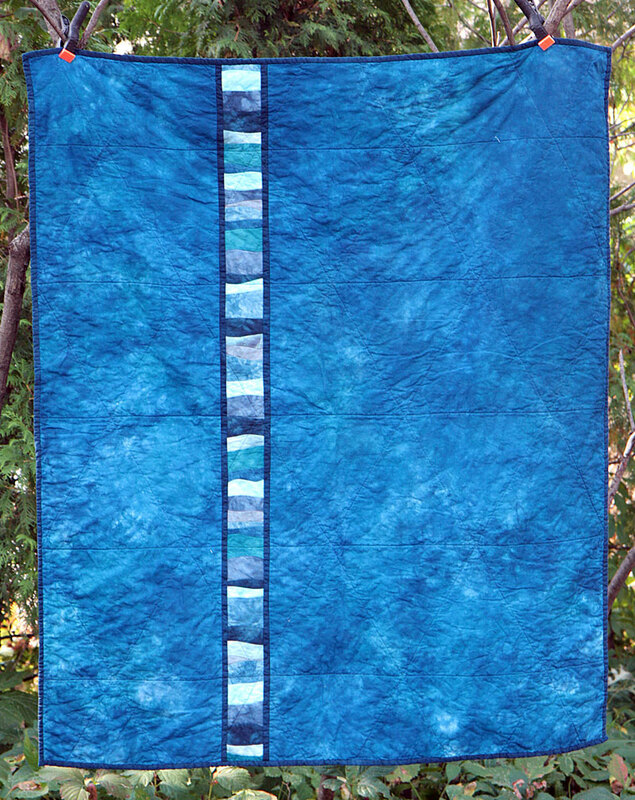 For the backing, I improv-strip-pieced some curves and cut them into a narrow strip for inserting between two large pieces of hand dyed blue fabric.